This work looks at the frontiers of contemporary research of public finance. It draws links between economic analysis and contemporary political issues. 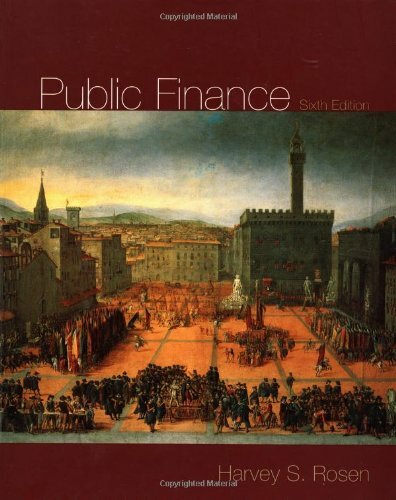 Harvey Rosens scholarly and up-to-date Public Finance continues to be the market-leading book. The book takes its readers to the frontiers of current research, yet remains accessible to undergraduates. Although it draws upon the latest research, the book never loses sight of the reality it is supposed to describe, always drawing the links between economic analysis and current political issues.